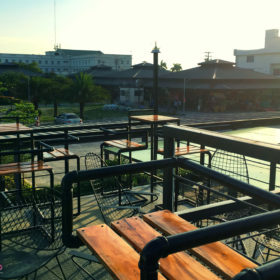 Did you know that a new milk tea place just opened up in SM City Bacolod? 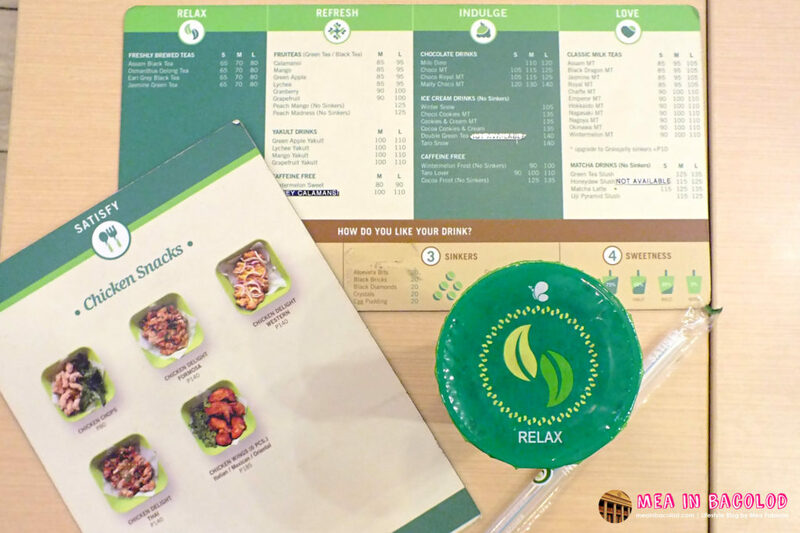 If you frequently visit SM, you may have already guessed that I’m referring to Serenitea. 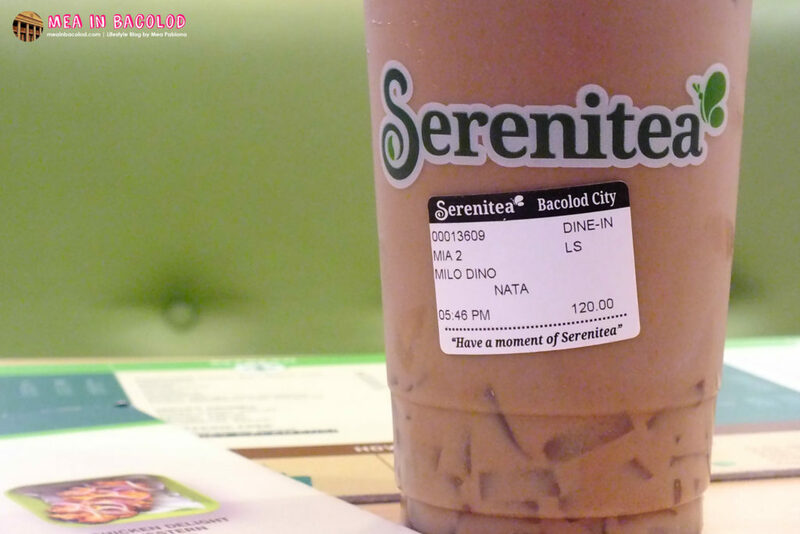 Have you had your Serenitea Milk Tea Today? 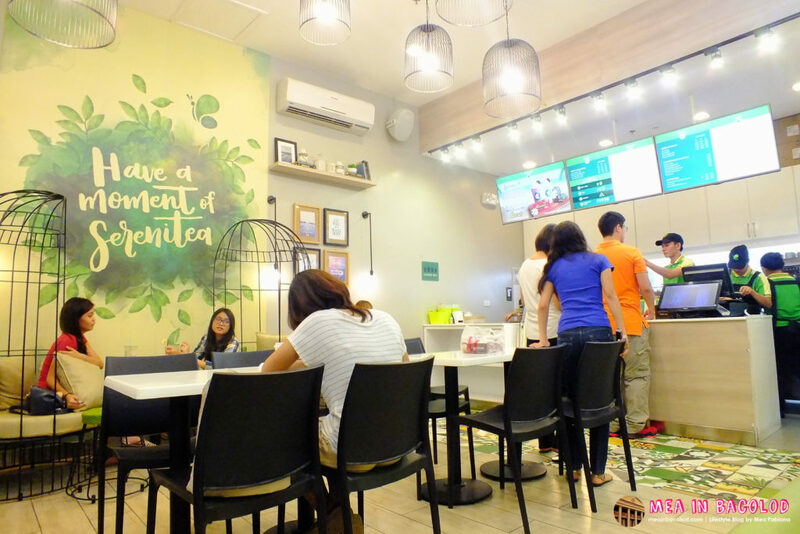 It’s very easy to spot Serenitea because it is right beside the entrance of the grocery store. The place is fairly small but the area isn’t cramped. It has a relaxing feel. It might be because of the color palette used. The touches of green are really relaxing to the eyes. Parent tip: The couch is the best place to sit after grocery shopping with the family. 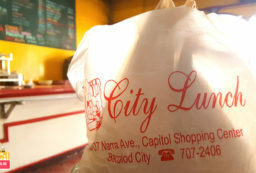 Rest your feet, have milk tea and then, maybe, a light snack. 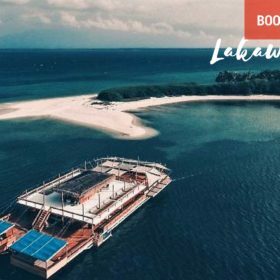 Come in small groups so you can relax better. This is an area you might appreciate when you’re with a friend. I call this the Instagram and friendship area or obvious reasons. The chairs are a good touch, aren’t they? This spot is definitely Instagram worthy. Moving on to the menu. 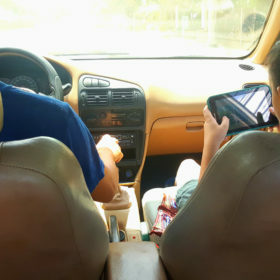 You’ll see two kinds of menus. One is for your tea drink and the other is for food items. 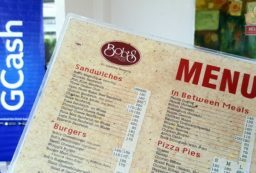 You can also check the menu right above the counter while you queue. What I noticed with most franchise cafes is that it can take a while before the customer knows what to order. It’s probably because the menu tends to be overwhelming. 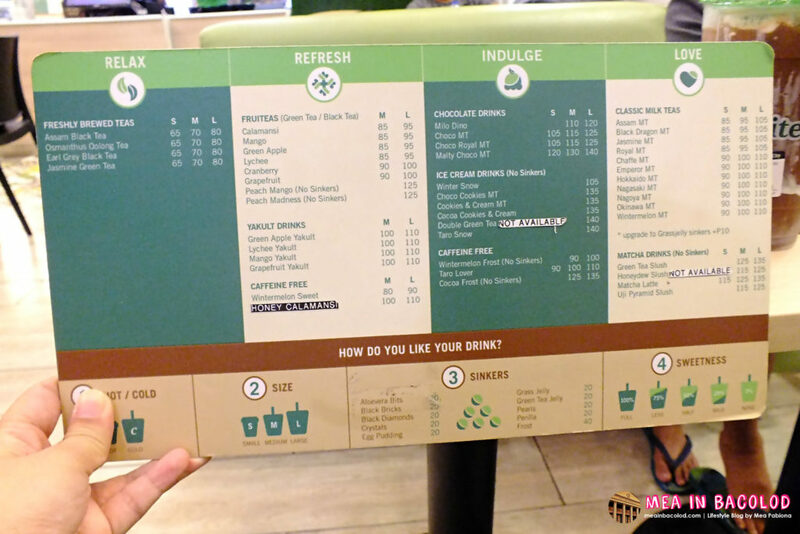 Good thing that Serenitea has a menu for their milk tea drinks which is easy to understand. 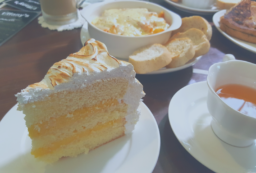 The sweetness in the milk tea can be adjusted. 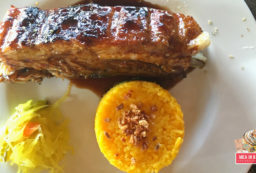 Good news for diabetics, ey? There are specific steps on how you can customize your milk tea after picking a flavor. 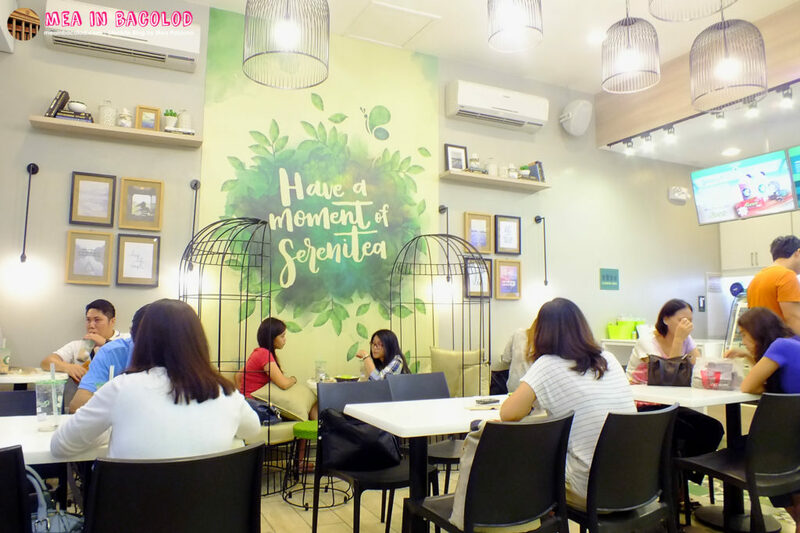 The drink can be customized according to size, sweetness, sinkers, and how you like your milk tea to be served (hot/cold).Here’s a good look at the drink menu. What Milk Tea Did We Order? 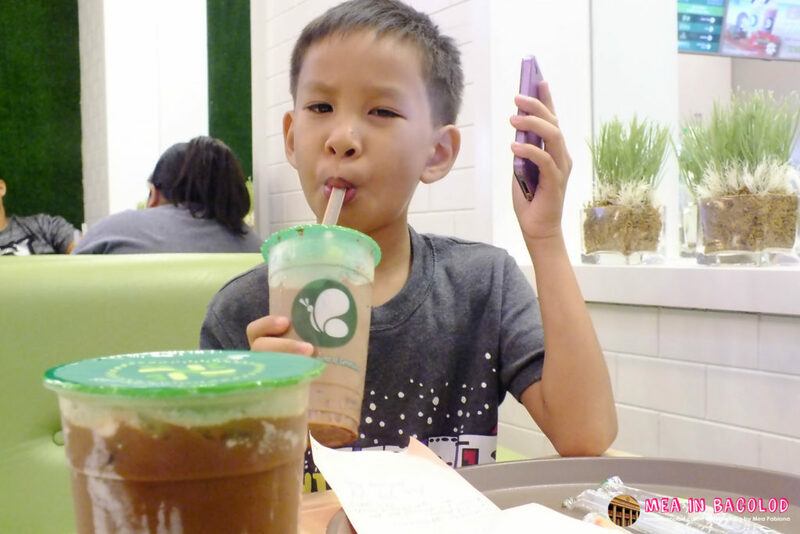 My son got a Milo Dino – P120 Large, with Nata Sinkers; I got a Mocha Snow – P140 Large. Of course, I had to get something with caffeine in it. Both milk tea drinks tasted pretty good. The price is mid-range. 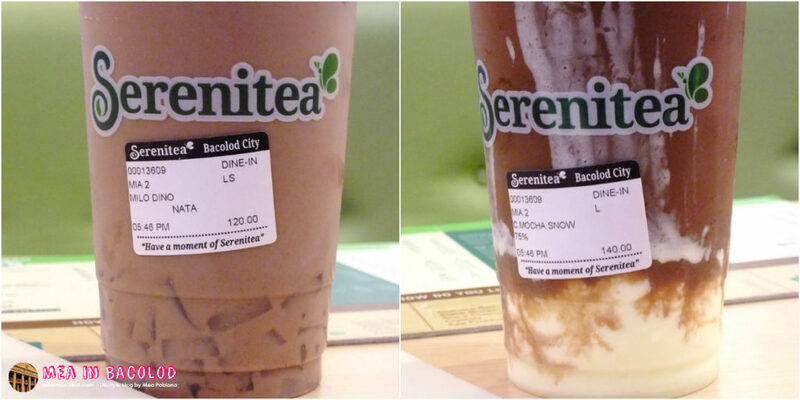 They do have flavors that are unique to Serenitea. Last time we visited, for example, they had a summer series which they did in partnership with Hershey’s. I’m not sure if they still have these. 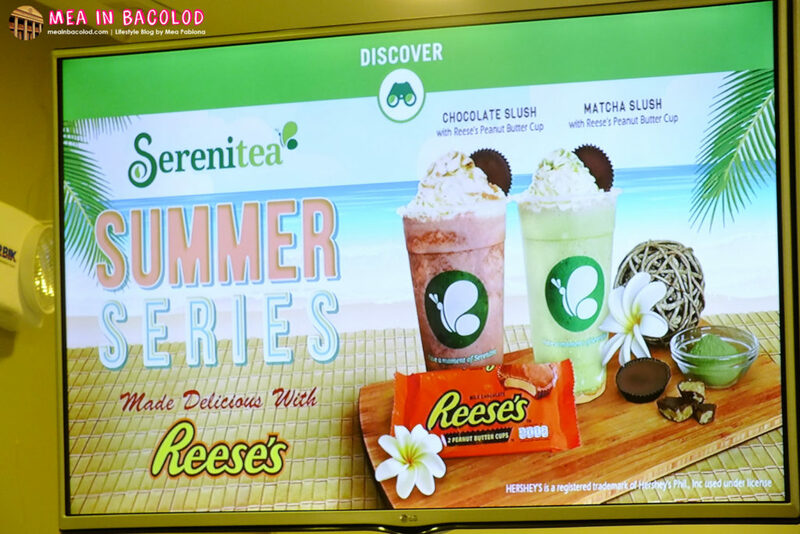 You can visit the iloveserenitea.com to know what the latest discover drink is. As for us, we’ll be going back from time to time when it is not crowded. 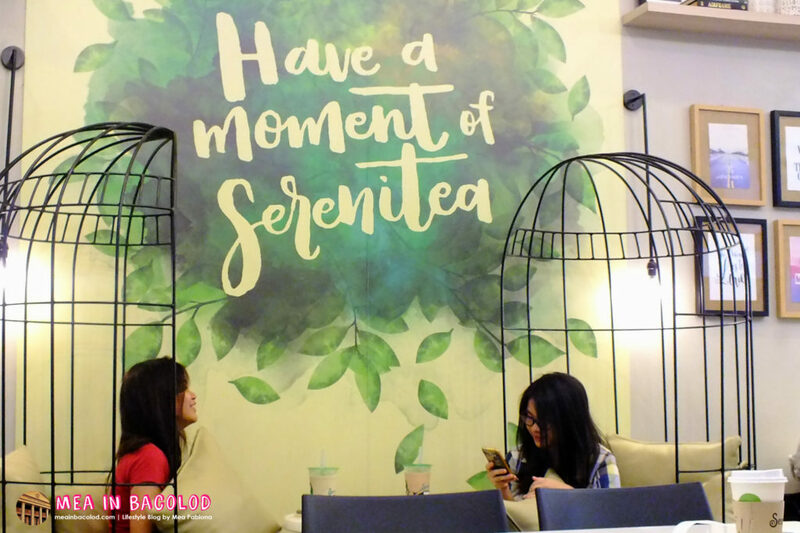 I hope you to see your around Serenitea! Previous article How Can you Tell GOOD Coffee from BAD Coffee?